It is unusually cold in Mississippi today (actually, its the coldest day on record since the 1880s), but before we know it, the temps will be up in the 80s and it will be full steam ahead on the racetracks again. This is a great time to consider the strategies available to keep your racing transmission cool when the warm weather returns next year. Excessive heat kills transmission and torque converter components. While it is well established and widely understood, we are often asked about the best ways to manage this problem. Last month, our friend and 2014 NHRA Super Gas world champion Luke Bogacki did a great writeup on his experience with transmission temperatures in throttle stop racing scenario. You can see that on his public Facebook post here. In his testing, he found that elapsed times would vary greatly as transmission temperatures rose above normal operating temperatures. We have found this to be the case as well in our testing and feedback from other customers. If your car is driven on the street or driven back to your pit area after making a pass, always run a cooler and if possible electric fan. We see too many customers with looped cooler lines. In a powerglide transmission, a looped cooler line dumps the automatic transmission fluid at its highest temperatures (directly from the torque converter) into the gear set and clutch packs. This causes early failure of all components. BTE recommends using a high quality cooler. We offer transmission coolers from Derale. In a high powered setups where a ringless input shaft is required, use a pump that is designed to maintain cooler flow. Our high volume pumps all maintain good cooler flow and pressure when used with our ringless input shaft. A ringless input shaft installed in an OEM style pump will have no cooler flow or pressure, which results in all of the super heated transmission fluid dumping directly into the gears and clutch packs. If your car is towed to the starting line and towed back to your pit area after making a pass, there is little time for a cooler circuit to have any effect on the transmission temperature. Therefore, it is OK to run a looped cooler line or use an input shaft setup that has no provision for the cooler circuit. In this scenario, the transmission and torque converter will still be extremely hot after making the pass. We recommend using an external cooler such as this one from Sharp Stuff. We have also seen reasonable success using a high velocity fan or leaf blower directly aimed under the car for some cooling effect. Use a quality ATF. Our choice is a blended fluid made specially by Lucas Oil. Synthetic and semi synthetic fluids mange heat better than conventional fluids and also maintain better lubrication than alternative oils. Heat kills. In the middle of the steamy summer, it is even worse. 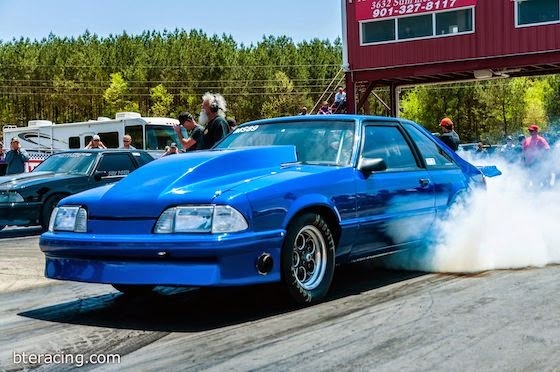 But if you are having trouble in your drag racing car with failed parts or inconsistent performance, a few adjustments to your setup can make the difference between a broken car and a winning car.